There is a stereotype about philosophers in which we are depicted as without jobs and money. In my case this happens to be true. Apart from my service to the army, I never worked. And I have little money. But there are many philosophers who earn vast sums of money practicing their art. 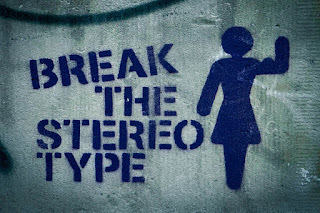 So the stereotype is faulty. Stereotypes are based on faulty reasoning. Allow me to show you, my friends, the reasoning behind stereotypes. As wise readers you will see immediately that this generalized conclusion does not follow from the premise unless, of course, the person in question knows all the people in group X. People base their stereotypes on inductive reasoning, which is something I am credited with inventing. My quest was to draw deductive conclusions. But deduction is based on premises which imply some pre-existing knowledge. Since I had very little knowledge, I needed to develop my premises through inductive reasoning. My method was interrogative. For example, when trying to understand the essence of virtue, I would question people about particulars known to embody virtue and what they had in common. I would then draw an inductive conclusion about the essence of the virtue. Essentially, inductive reasoning makes the move from specific examples to a generalized conclusion. Counter examples weaken inductive conclusions. C1. (conclusion) Therefore, probably everyone in group X have character trait Y. Notice, good reader, the use of the word "probably" in the conclusion. This is the signature of inductive reasoning. Probability rather than certainty is established, which makes this version of the argument better than the first version. Your modern science is based on inductive reasoning. For example, a scientist may claim that because every object heavier than air has been observed to fall to the ground when dropped, it is therefore very likely that all objects heavier than air will fall to the ground when dropped. Now, if the scientist observed this effect only three times, the reasoning would be weak. If the scientist had observed the effect a million times, the reasoning would be strong. If we assume that this person does not know every philosopher, this is a weak argument. The conclusion is most unlikely to be true, even if the premise is true. This can be demonstrated by a single counter-example, John Smith, who works as a university philosopher earning a very handsome wage. The strength of this inductive argument depends on how many philosophers the reasoner has met. If he or she had met most philosophers, then the argument would be strong. But this is unlikely. I am unsure how many philosophers there are, but since most universities have them, I think it is unlikely that the reasoner could have met most of them. And there may well be philosophers who are employed in other jobs, earning reasonable money. I believe this inductive conclusion is weak. One must be cautious in accepting reasoning that leads to stereotypes. Even if the conclusion happens to be true, the reasoning must be treated as suspect and the reasoner interrogated.